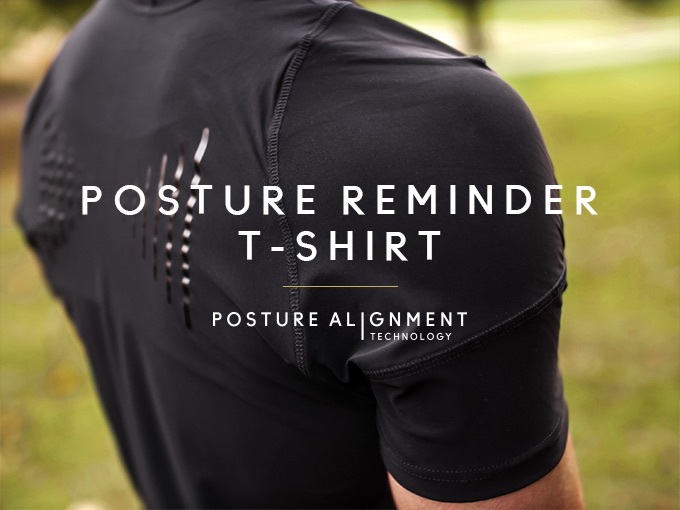 The Posture Reminder T-shirt has Posture Alignment Technology that prevents you from slouching and reminds you to stand up straight by keeping your shoulders aligned. 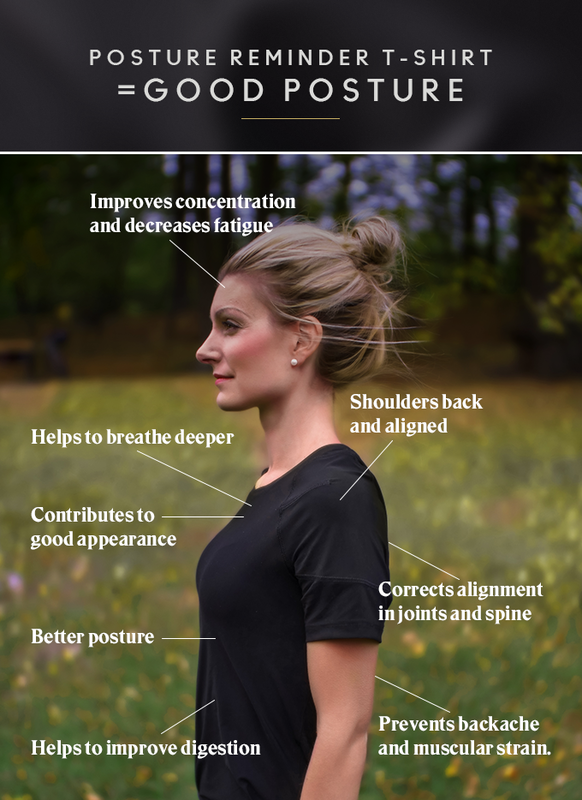 The Posture Alignment Technology is a combination of an unique back panel that guides the user to keep shoulder blades together and the design of the shoulders that position shoulders in a natural position, rolled back. 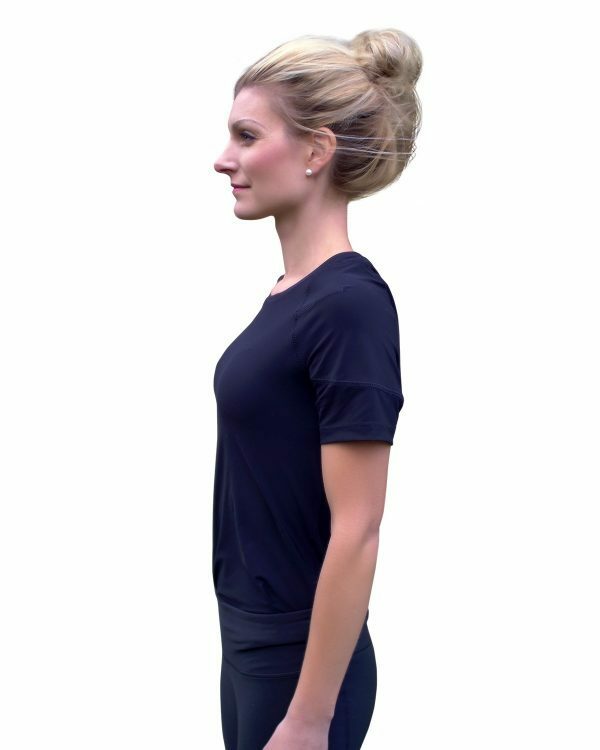 When shoulder blades are held back and spine is aligned, you automatically activate muscles and engage the core while standing and sitting. We’ve all been caught slouching and hunching over the computer. That harms your posture and has effects on the body such as back and neck pain, stress symptoms, headache to mention a few. 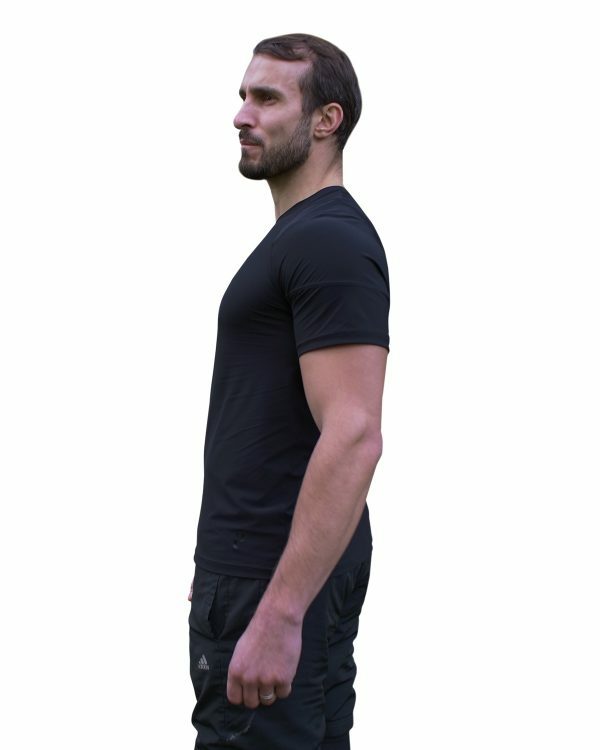 Based on today’s sedentary lifestyle Swedish Posture has developed a totally unique POSTURE REMINDER T-SHIRT to remind you to straighten up! The t-shirt does not need compression to make you stand tall, it’s loose and comfortable around the waist which makes it aesthetic for all bodies and suitable for all occasions. Helps you deepen your breath and improve oxygen intake which makes the product suitable for physical performances and challenging tasks and general productivity. 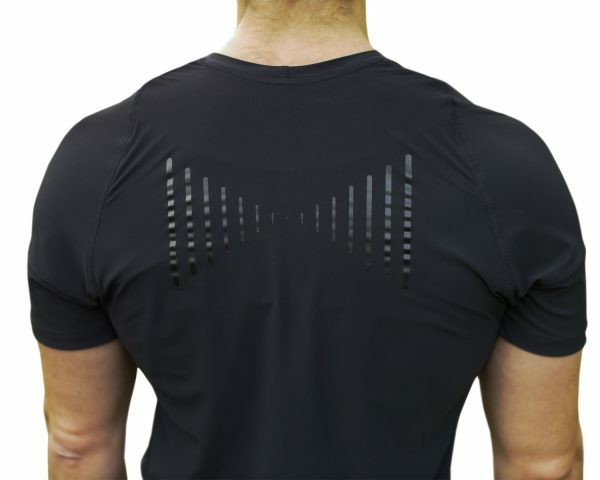 Unique Posture Alignment Technology that keeps the shoulder blades together and guides the user to improved tension in the core muscles. 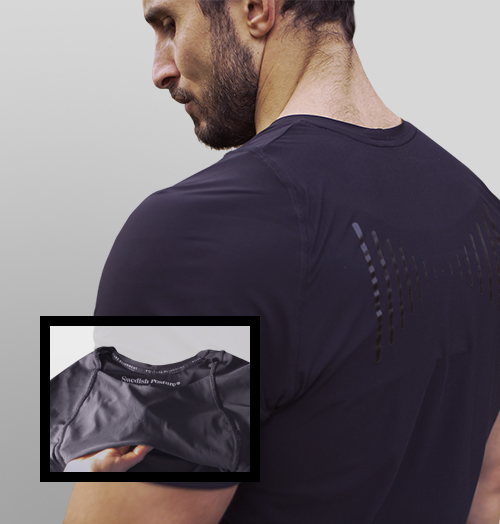 Athletic fit design (not compression) which makes the shirt comfortable and aesthetic looks on all bodies. 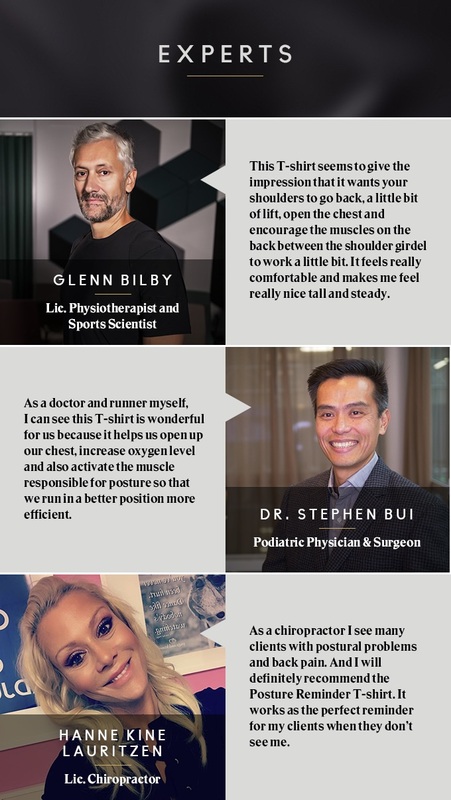 Perfect for sports in the gym, running as well as on a busy day at the office or a relaxing weekend gaming session with your pals. 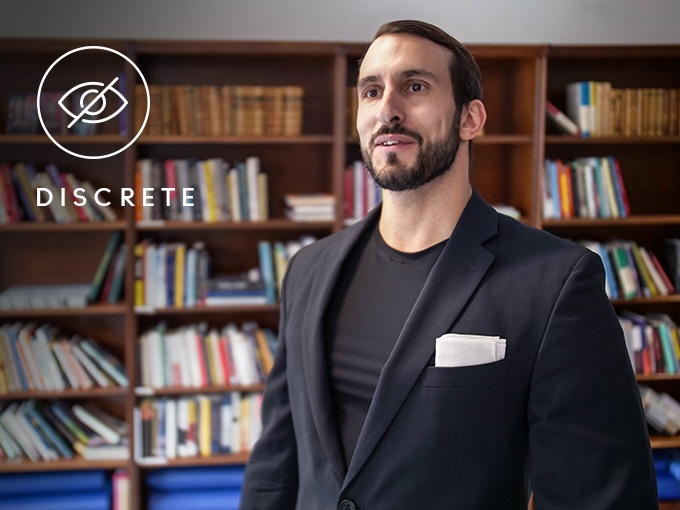 It’s discrete and can be worn by itself or hidden under a shirt, jumper or jacket. 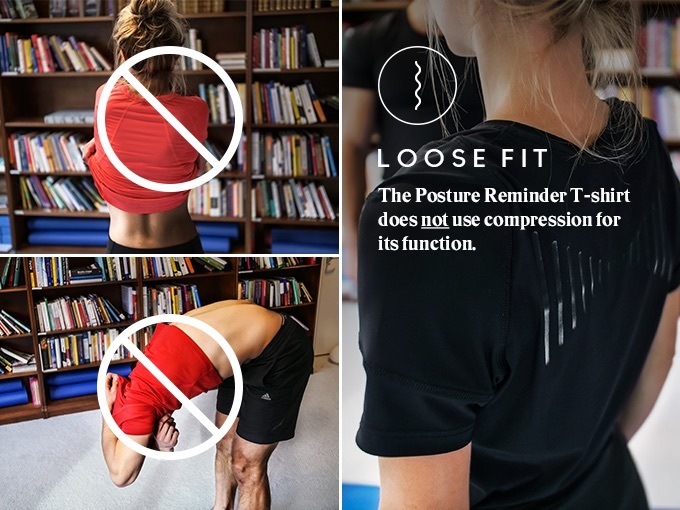 Make sure the back panel, Posture Alignment technology, stretches over your shoulders on your back. Ladies t-shirt: XS 8-10. S 10-12. M 12-14. L 14-16. Mens t-shirt: S 34-36. M 38-40. L 40-42. XL 42-44.